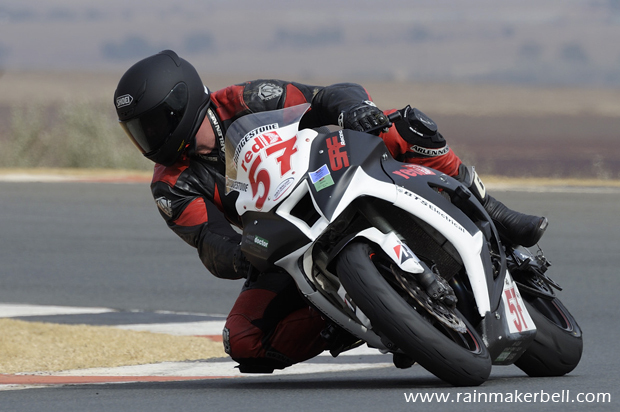 The long and winding static black Red Star Raceway runs parallel with the N4 Witbank highway, before it turns to the South, into a vista of deception (keep your eyes glued to the track), away from trucks and cars, that run their own mediocre course of the daily-bump-and-grind—miserable they are! Wish you were here. The ribbon of black stretches deep and wide on a four kilometre winding course. A racetrack of blood, sweat, and tears. I’ve seen many that have fallen; most returned victoriously. Her heart is cold, especially in winter; not warm enough on hot summer days. Her 13 turns and 5 straights can punish any man (or woman) severely. You have to have it in you to withstand her silent dark sarcasm. Down the long straights it is full throttle for most, as if she encourages them to defy her cold heart. Effortlessly they (the Masters) glide through her turns; from underneath her voice calls their names, a sound that heartens them to be even more defiant—we shall race. The Red Army is geared for this weekend: Race Suits (one for practice; one for racing), Helmets, Gloves, Visors, one race-ready Kawasaki ZX10R Superbike, Boots, Knee Sliders (a pair for each heat), Racing Fuel (it sounds better than 95 Octane), Spares, Mechanic (for just in case), Camping Chairs (those liken to pool chairs, the ones that stretches out, you know what I’m talking about), perhaps Food and Drinks, a Brolly Girl (not compulsory), Money (Red Star has a super nice Cafeteria and liquor dispensary), Razors (Kyle Robinson #18, has asked for a heads up, if I should again take close-up photos); one Scoot Jockey, that’s you (there will be twenty-two on the starting grid). Anything else? I’m sure it will be packed. Spectators are more than welcome to visits the pit area. SMOKING, however, are not permitted, except, when you surname rhymes with McLachlan. 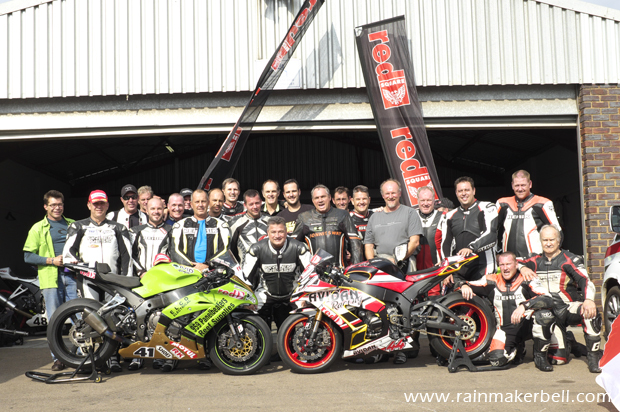 Bring the whole family to meet the tenacious Kawasaki ZX10R Masters; take pictures and publish it to Facebook, your following will love it dearly. Oh! And ask Mark (Weitz) if he can spare you an ice cold Red Square Reload. 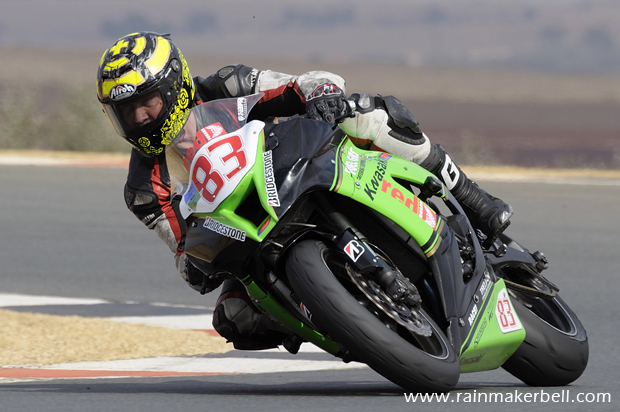 He’s always diligent is his vocation, always friendly, AND, takes great care of the arid needs of the Red Square Kawasaki ZX10R Masters, as they are officially known. Time surely flies. 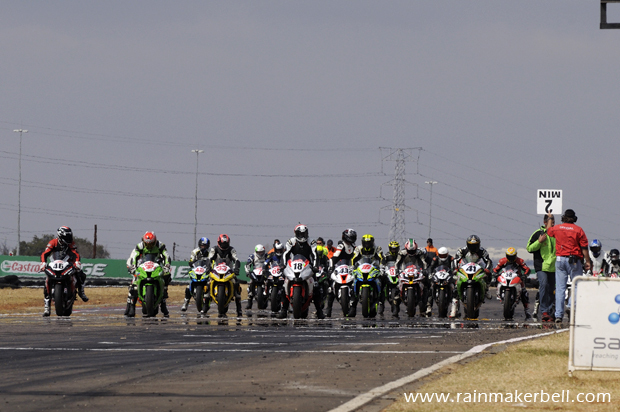 It is almost time for the SECOND ROUND of the ever popular Red Square Kawasaki ZX10R Masters, at Red Star Raceway. It is all happening on 27 + 28 March. Fridays are of course FREE practice days. 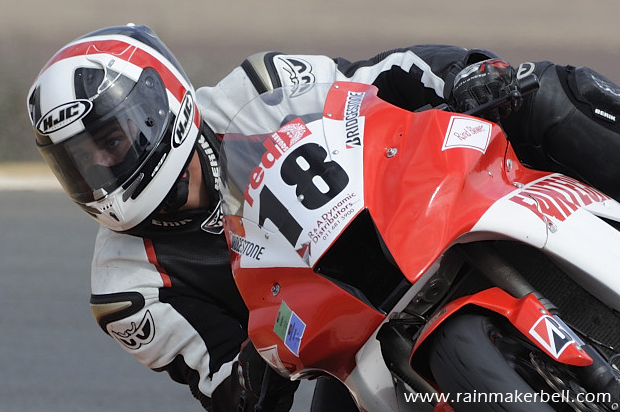 Avid motorsport fans and Friday Slackers can have a foretaste of what will go down over the weekend. I’ve included a link to the racetrack—click here. This should be a very exiting weekend. Different racetracks produce different results. Do you agree with me? 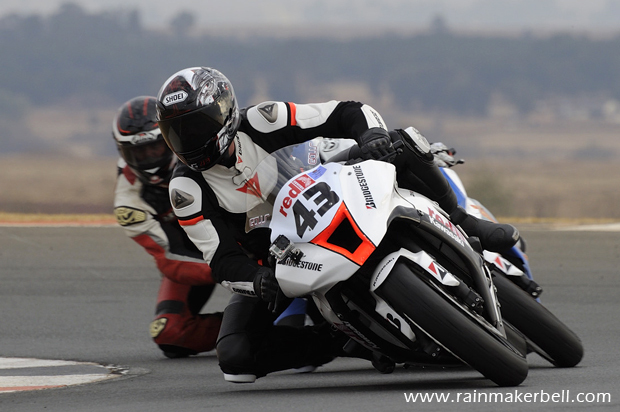 Zwartkops is wholly different than Red Star Raceway (from a motorcycle racing perspective); you can't even compare the two: distance, width, turns. Red Star has 13 in total, where Zwartkops have only 8; not to mention the straights. Back to the podium contenders (my prediction): Pieter "the Terrier" De Vos, Kyle Robinson, Graeme Van Breda ... I will even consider Tony Klem and Johan Le Roux for podium spots, they must just keep it together. The Terrier and Robinson will have each other at the throats that I can promise you. Pieter is not called "the Terrier" for no reason, but, Kyle also knows how to put a dog down. To keep the Red Army gripped to the ribbon of black, especially at Red Star, is Bridgestone, more specifically: Bridgestone Battlax R10, motorcycle racing tyres. To keep them cool, energised and focussed, Mark nurses them with Red Square Reload (that you already knew), and ... the Brolly Girls, to spuriously make them feel young again. 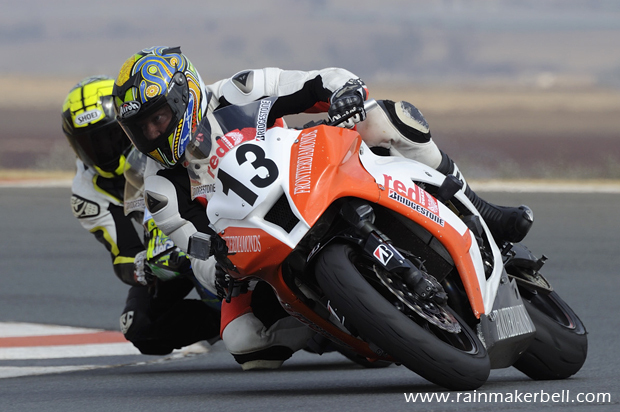 If you have missed out on Round One (Zwartkops), it’s no biggy. Just take the N4 towards Witbank/eMalahleni (as previously mentioned), until you meet Red Star on you right hand side, or on your left (if you come from the other side). The racetrack has great spectator pavilions, fantastic ablution blocks, entertainment for the young, and a great cafeteria. 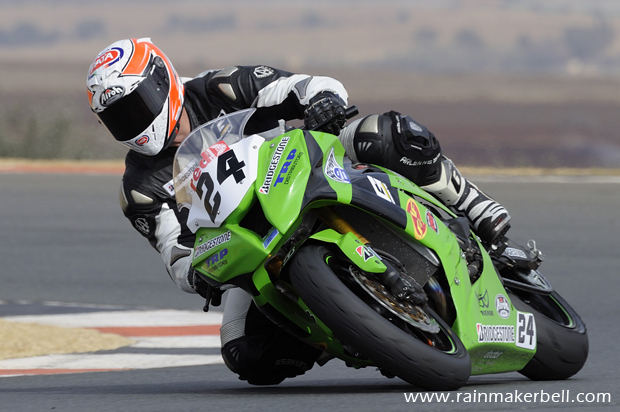 © 2015 www.rainmakerbell.com - Prequel 2 Sequel - Red Square Kawasaki ZX10R Masters, Red Star Raceway, South African Motorsport, 2015/03/16.